I, Erin S, love to watch television. Gasp!…Whew, it’s out there. I feel much better now. Go ahead and judge all you want. We all have our vices and little indulgences. Mine just happens to be television. I worry about the withdrawal and how I’ll handle being away from my TiVo. How can I leave before season finales?! Parenthood is on a roll and Grey’s just got back on track. I’m finding this year’s Survivor to be quite entertaining and this will be the first year I won’t watch to see who wins American Idol, DWTS, and Amazing Race. Even worse is that I won’t get to see Michael’s farewell on the Office (which I watch with my dad) or the final season of Friday Night Lights (one of the best series ever to be on television!). If I’m being completely honest, then I have to admit that this will also be my first summer without getting my yearly Big Brother fix. I’m relying on my friends to send me youtube clips of the best dances from SYTYCD…Really bummed about that one! The good news is that I’ve hopefully found a way to still watch my shows while I’m on the trail. I know many of you cringe at the idea of this. I’ve done some research and I’ve subscribed to Hulu. It has the seasons of most of my shows so I can keep up through my iPhone, so I’ll always have something queued up if I get some downtime and a signal. Good thing I have a solar charger for back up too! I know technology is off-putting to many hikers, so I will keep my obsession as discreet as possible. I can’t wait for those zero days when all I have on my schedule is some quality R&R with my favorite shows. People tell me I won’t even think about tv while I’m on the trail. That I’ll be too enthralled with all that is around me during the day and too exhausted when I lay down at night. I’ll be shocked if I lose interest in television. I know there will be nights in the woods where I will lay in my tent and imagine what I’d be watching if I were at home. 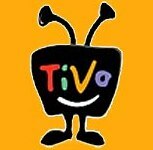 I’ll probably even faintly hear the wonderful sounds of my TiVo dancing in my head. There really is nothing that makes me happier than snuggling up in my pj’s and watching my shows. Now that it’s out there, I’m sure you’ll all be interested to know how this habit affects my hiking. I’m sure I’ll be using this journal to help me get through the withdrawal and I’ll keep everyone updated on how it goes. It won’t be too hard, right?…That’s what she said! Ha!…Sorry, I couldn’t resist on that one. Erin, this post is hilarious. 🙂 I love it.